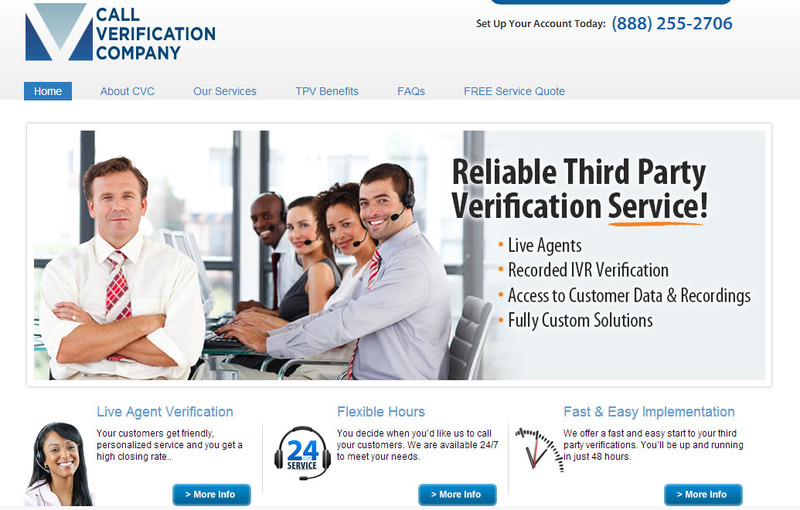 CVC is a third-party verification service. Their representatives are trained to get a client’s customers to verify they are authorized decision makers and confirm their order of the client’s service or product. They can provide verifications for any business in any industry including telecommunications, energy, financial services, healthcare, insurance, membership groups, debt consolidation, home security and retail. CVC was entering an already saturated marketplace. However, many third-party verification services were unethical and unreliable. CVC intended to provide better quality and more technologically advanced services than were currently available from competitors. The company’s website would have to persuade prospective customers that CVC had the necessary expertise, equipment and quality controls to be trusted with their business. Susan Greene, website copywriter, was asked to write content that inspired trust by stressing CVC’s state-of-the-art capabilities and its full compliance with all FCC and FTC regulations. CVC was launched and its salespeople immediately began calling on clients, using its new website as a key marketing tool to give them credibility and explain the company’s services. Today CVC continues to do well in the call verification industry and is continually gaining clients and market share. Could your third-party verification service benefit from a well-written website or other marketing materials? Let's chat about it. Contact Susan Greene today!